Tool-making is part of the game, too! 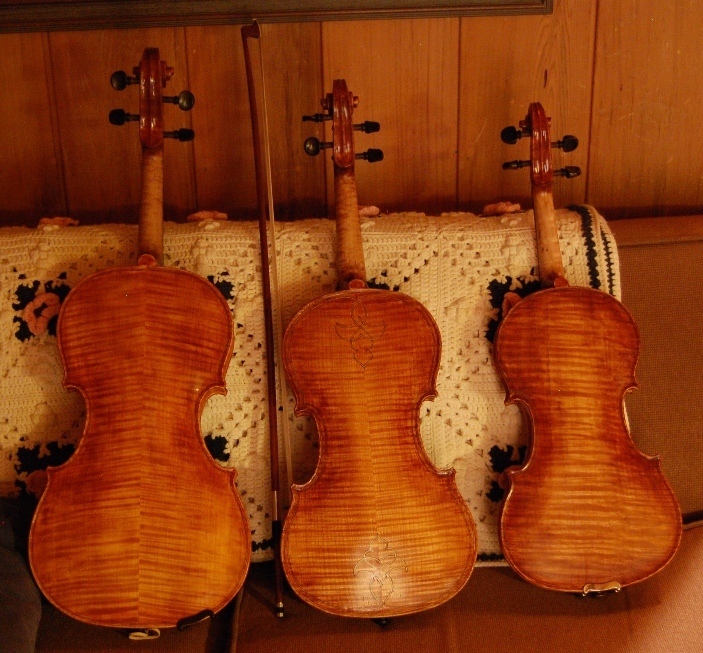 Handmade tools are part of the Luthier’s Trade, too. 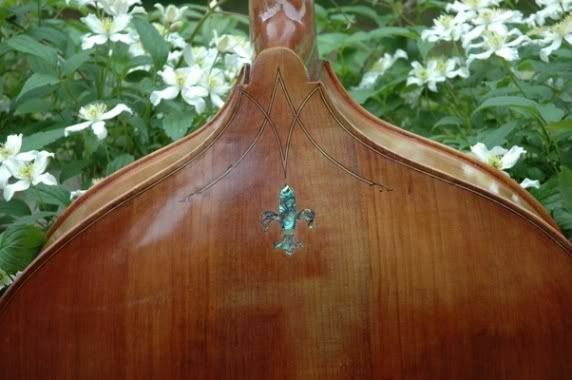 The tool shown here is a curved sole plane specially made for carving the inside of a compound curve—in this particular case, the inside of an upright bass viol—sometimes called a double bass. 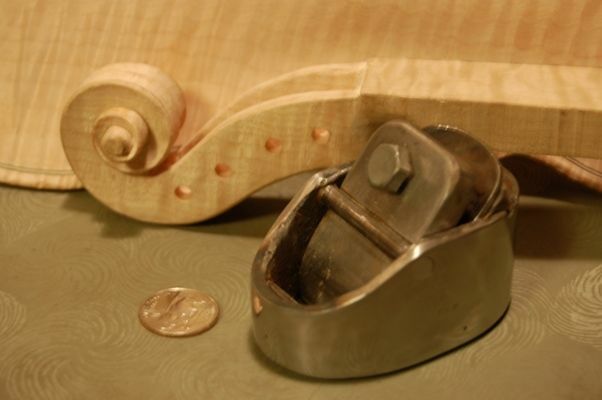 (That’s a standard violin scroll beside it, and a twenty-five-cent piece, to compare size) Many such thumb-planes are made of cast brass—this one is all steel. It features all welded construction, and a hardened high-carbon steel blade. I began with a short piece of scrap 2.5″ I.D. steel pipe. I mashed it to the oval shape in a hydraulic press, welded the sole in place, added the plane bed and blade retainer pin, and hand-crafted the chip-breaker to fit. The blade was made of a cast-off piece of a commercial scraper blade. I think it would benefit from a thicker blade, but it works well as it is. The sole of the plane is curved laterally, as well as longitudinally, to allow the blade to smoothly follow the surface of an inside curve. The blade, also curved to match the sole, is adjusted by loosening the keeper bolt and manually repositioning the cutting edge. 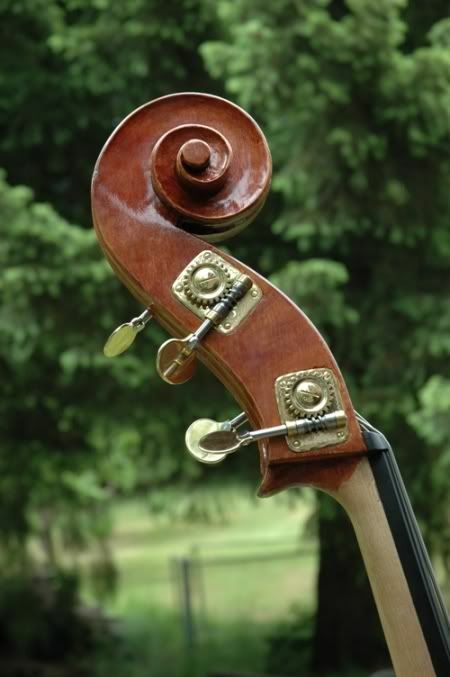 In two tries, I had it shaving smooth ribbons of maple from the inside of the bass. The plane weighs in at about two pounds, so it is not a featherweight, but the extra mass seems to make it cut more smoothly. 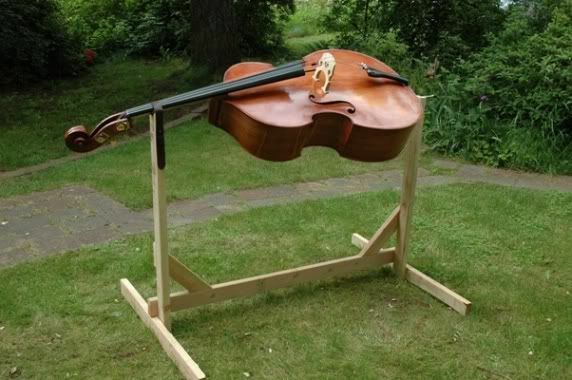 On the other hand, it gives your deltoids a good workout…but that is part of woodworking. Yes, I know now that the little white felt pads go on the inside of the tailpiece…but the photograph recorded my ignorance at the time, so I will let it stand. 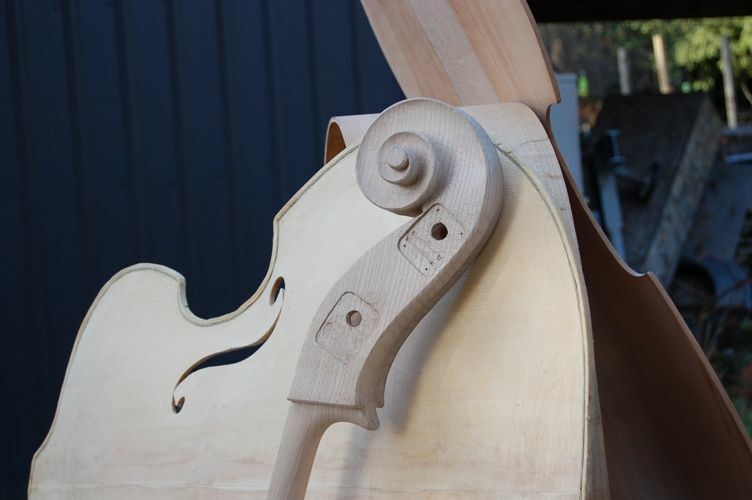 This Double Bass was handmade in Oregon. 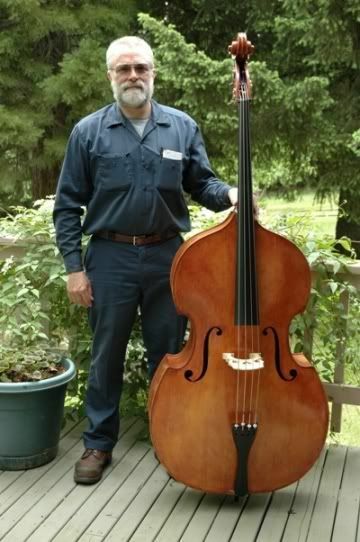 It plays very well, with a huge powerful tone. It was sold and now lives somwhere in Illinois, I am told. 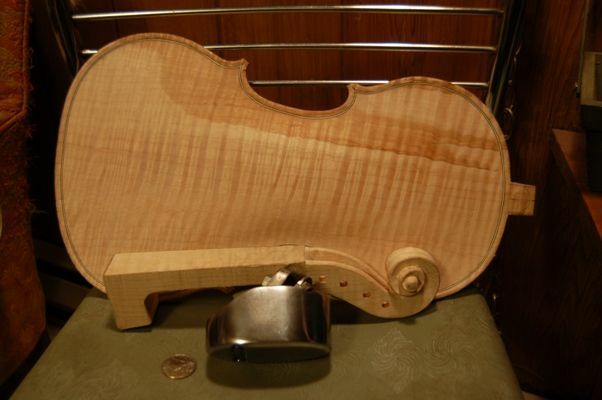 This was a “William Tarr” model, built from plans obtained from Peter Chandler. 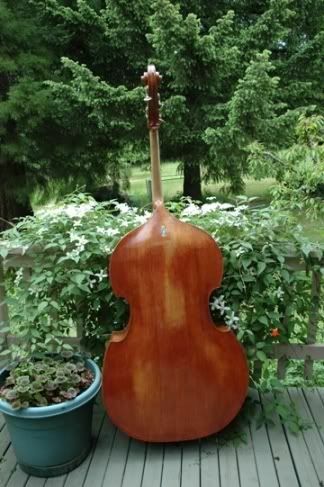 My next Double Bass will be a “Panormo” model, modelled after a bass by Vincenzo Panormo, and using drawings by the late Peter Chandler. 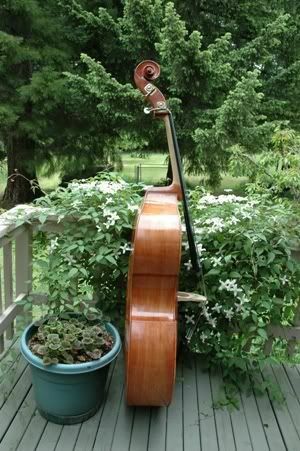 All my Double Basses are of Oregon Big Leaf Maple and Sitka Spruce.